On Jan 23, 2008, I visited a Honda dealer in Colorado Springs and took a few pictures of the '08 CRF230L on the showroom floor. The black cannister is the so-low-tech EPA-mandated vapor collection system. Ugly. 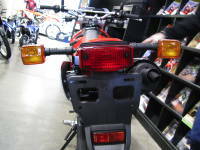 ...but a little boxy from the side. 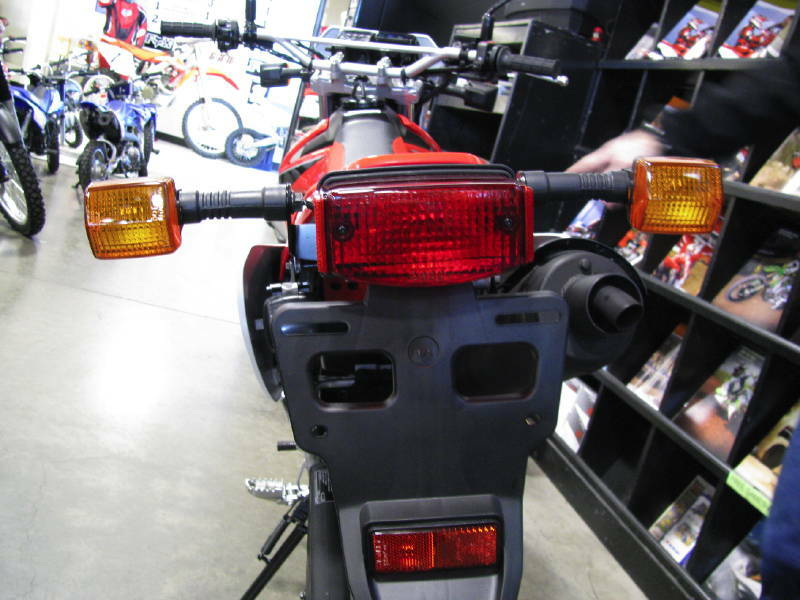 Now we know why the headlight nacelle looks so boxy - it hides a lot. Could this be any bigger? Another look, just in case you missed it. That brake pedal looks a little out of line. Wimpy chain guide - one sided only. 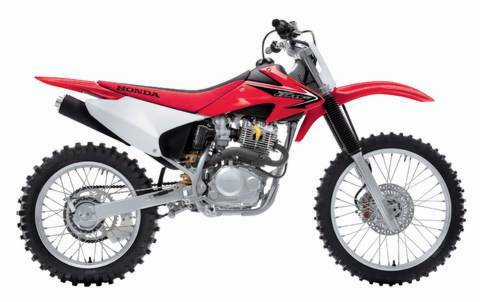 Here's something a lot of 230F riders would like to have. Now where is that parts catalog? 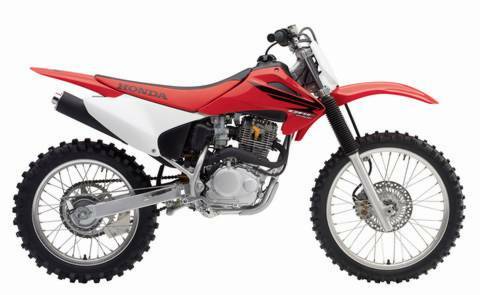 - Dependable 223cc single-cylinder air-cooled four-stroke engine offers plenty of user-friendly power and lots of torque spread over a wide rpm-range. 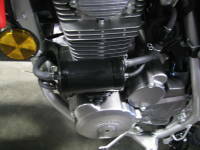 - 30mm CV carburetor for crisp throttle response. 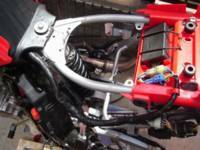 - Electric start for easy starting. - Heavy-duty clutch offers smooth, progressive engagement. 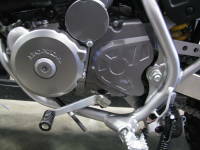 - Smooth-shifting, versatile six-speed transmission. 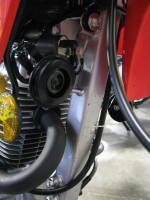 - Heavy-duty O-ring-sealed chain for durability and reduced maintenance. 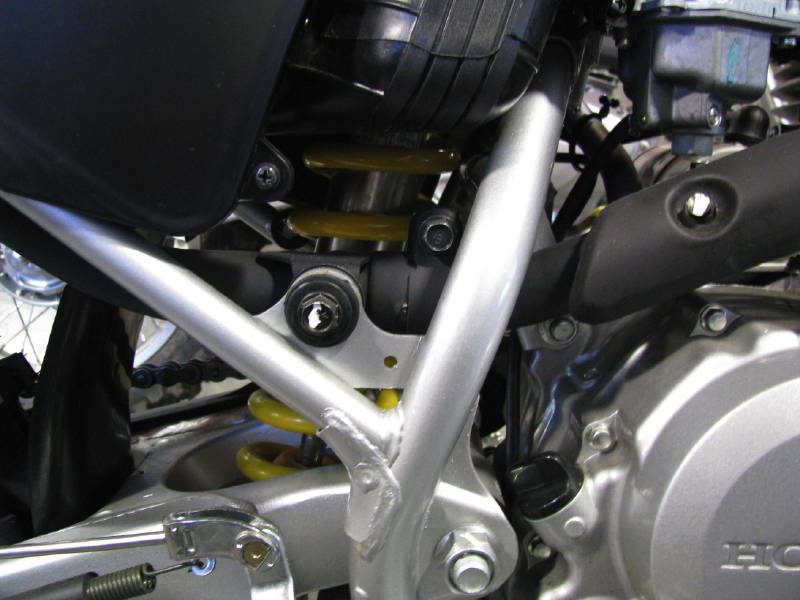 - Lightweight semi-double-cradle high-tensile steel frame. - 37mm leading-axle Showa front fork offers 8.1 inches of suspension travel. 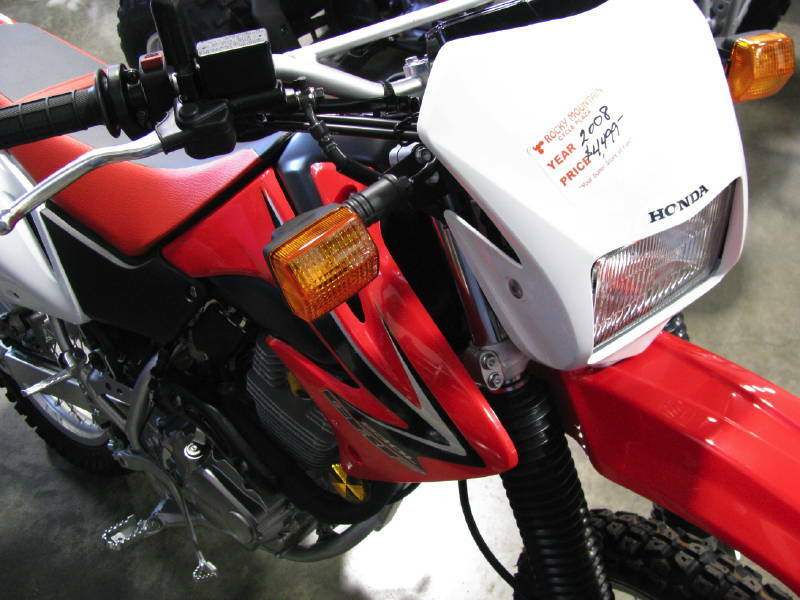 - Fork boots keep dirt and moisture away from fork seals. 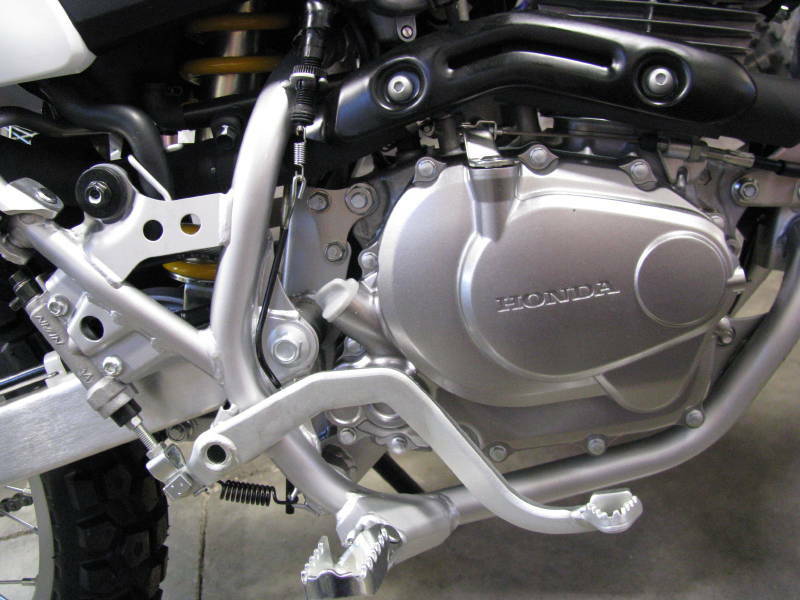 - Heavy-duty Showa rear shock offers 6.1 inches of travel. 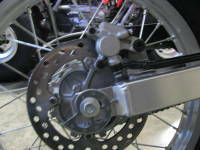 - Powerful 240mm front disc brake, and 220mm rear disc brake. - Strong, lightweight rims with straight-pull spokes. 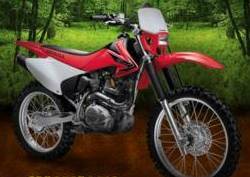 - CRF-R-inspired bodywork and graphics. 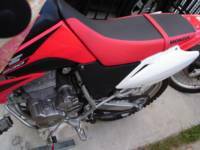 - Motocross-style seat is low and comfortable, and allows maximum rider movement. 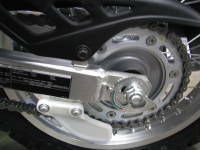 - Durable front and rear steel sprockets. - High-quality handlebar with comfortable grips. 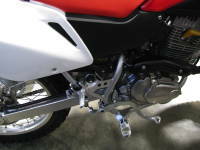 - Wide cleated, folding, self-cleaning footpegs and brake pedal for secure footing. 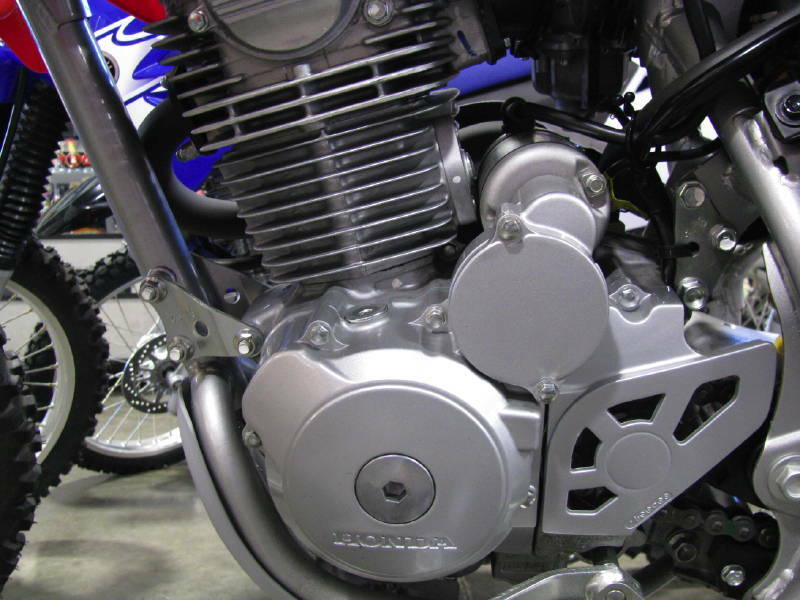 - Quiet, USDA-qualified spark arrester/muffler. 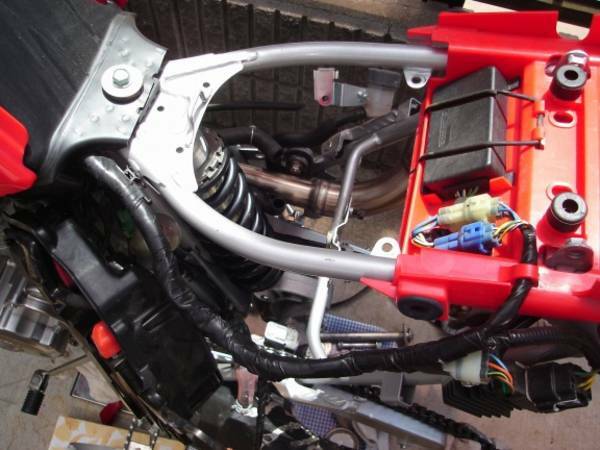 - Ignition switch key for added security. 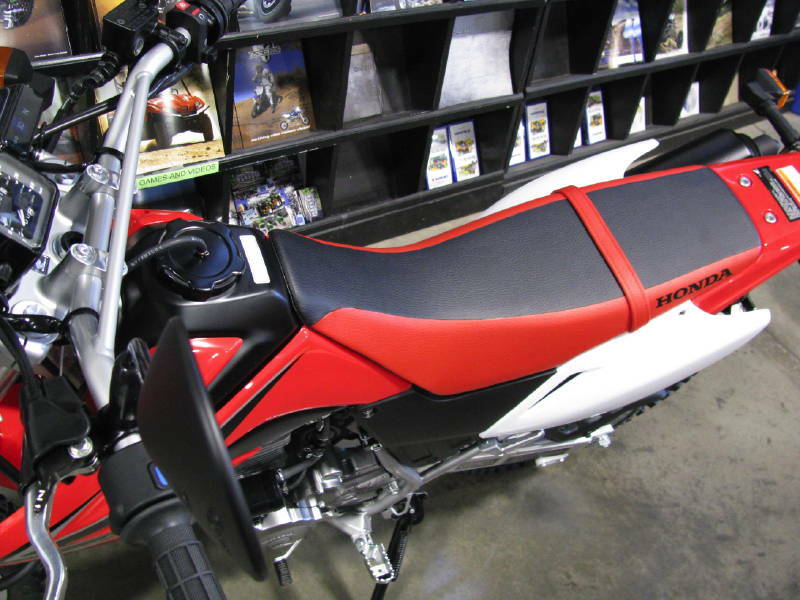 - Transferable one-year limited warranty; extended coverage available with a Honda Protection Plan. 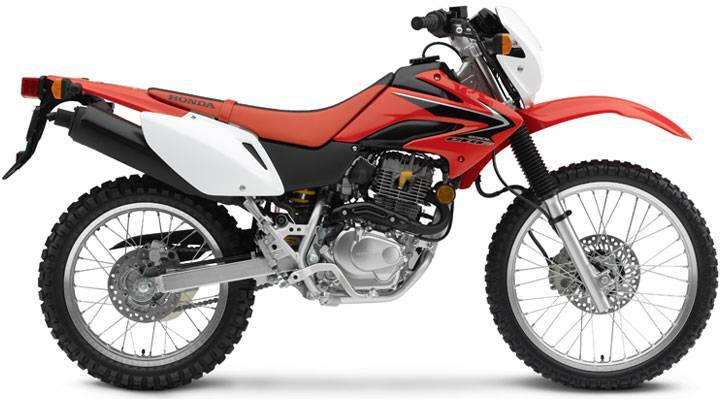 - Purchase of a new, previously unregistered Honda USA-certified unit by an individual retail user in the United States qualifies the owner for a one-year complimentary membership in the Honda Rider's Club of America (HRCA). Visit www.hrca.honda.com for details. 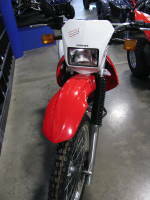 Curb Weight 267 pounds; includes all standard equipment, required fluids, and full tank of fuel-ready to ride. 253 pounds with no gas; calculated by ramz. 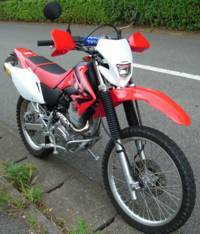 For 2008, Honda announced a street-legal CRF230L. After carefully looking at the announcement picture, I decided that the 230L is not a modified CRF230F but, instead, is an updated XR200. I based my conclusion on the appearance of the engine, carburetor mounting, exhaust pipe mounting, airbox, side number plate, rear brake master cylinder, rear brake pedal, and frame. 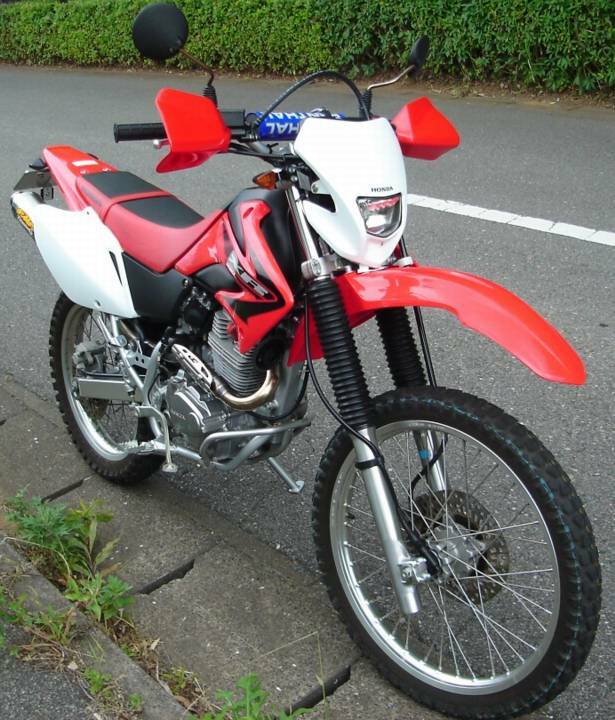 I searched web sites in Japan to see if I could find a Japanese domestic-only 200 or 230, which would serve as the base model. 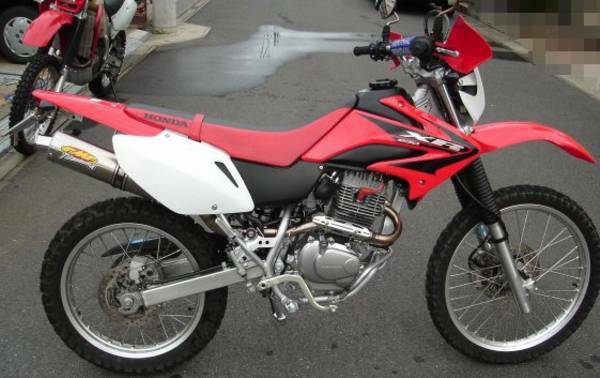 I found an XR230, a bike suspiciously like the new 230L. 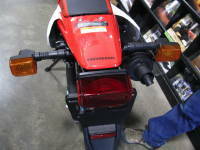 Notice the street-legal equipment. 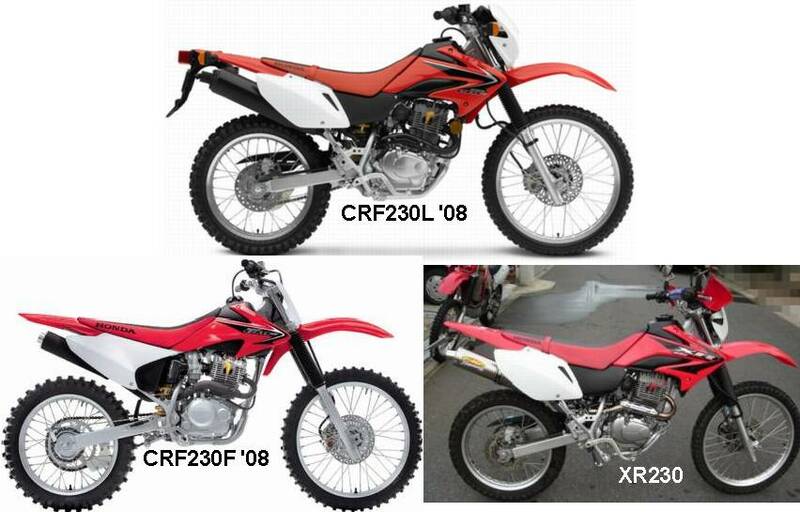 For comparison, here are the '07 and '08 CRF230F models. 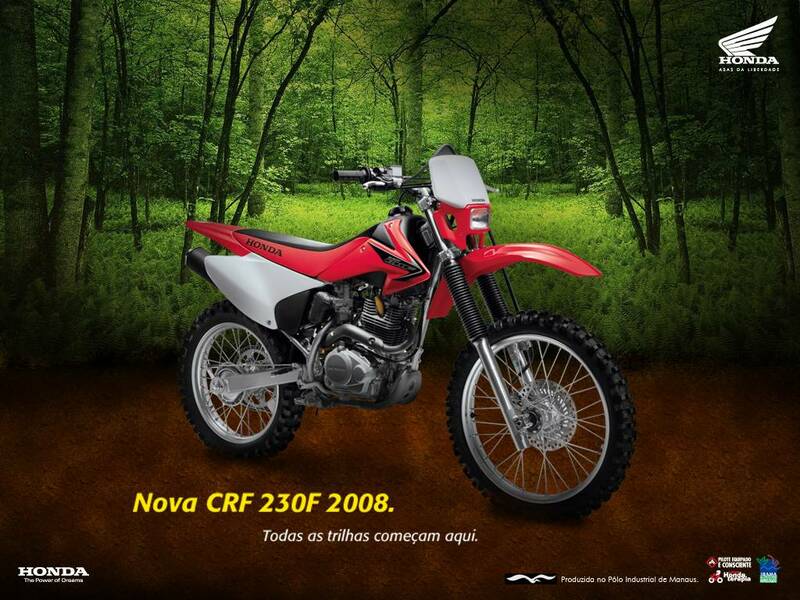 Here is a picture of the '08 CRF230F that Brazil gets. It's just like the '08 US 230F with a headlight added (and it has the same drum rear brake our 230F has). I took pictures of an '08 CRF230F, so I could compare the L and F to see similarities and differences. 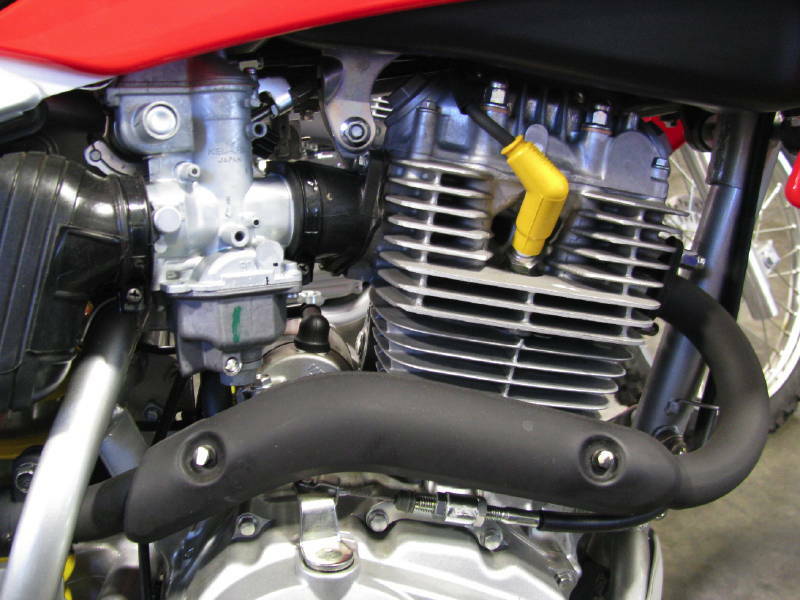 230L right side engine. Note the engine side cover detail, the brace on the downtubes, the pipe mount, and footpeg mount. 230F engine - compare the side cover detail. 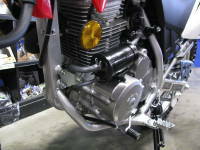 230F frame - compare the downtube brace and pipe mount. 230F pipe - compare the pipe bend. 230L left side engine. 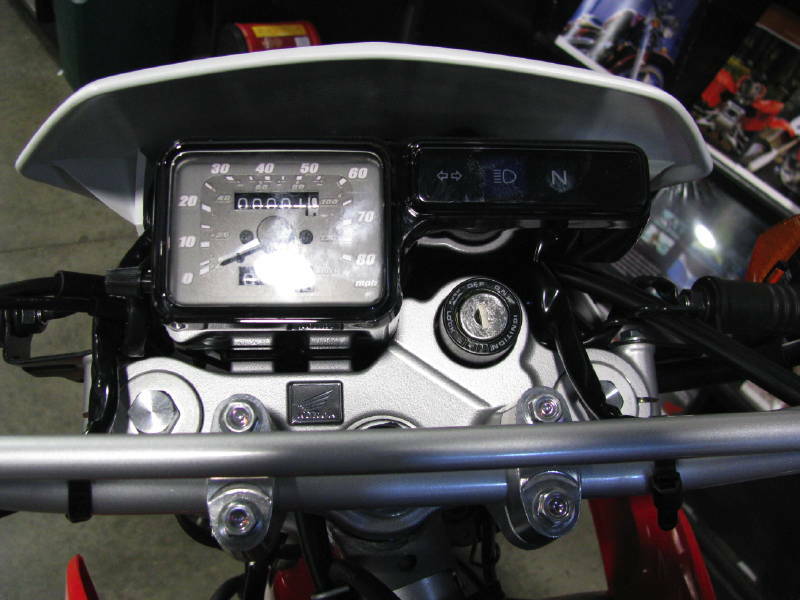 Note the engraved "HONDA", inspection cap, sprocket cover, and footpeg mount. 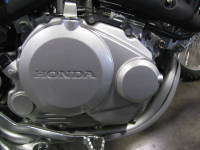 230F engine - compare the engraved "HONDA", inspection cap, and sprocket cover. 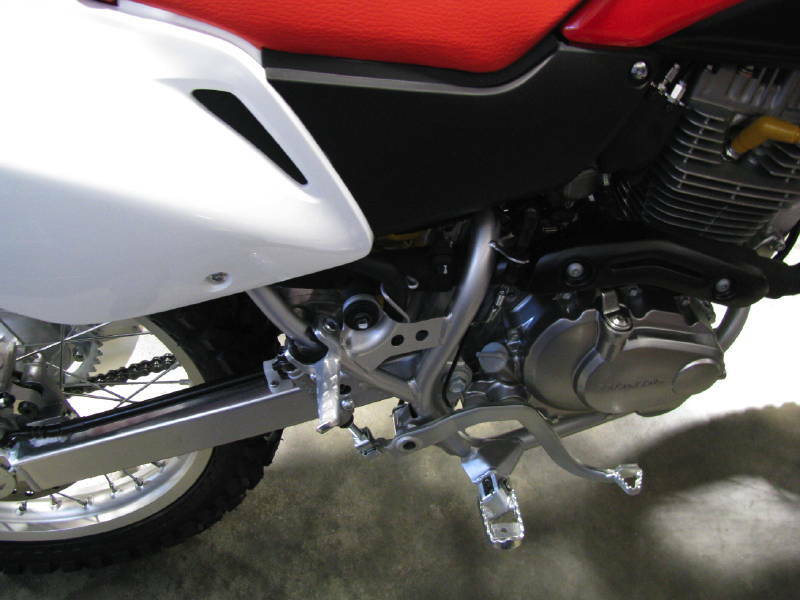 Although the footpeg mount can't be seen, we all know the 230F footpeg mounts bolt to the frame, unlike the 230L mounts, which are welded. 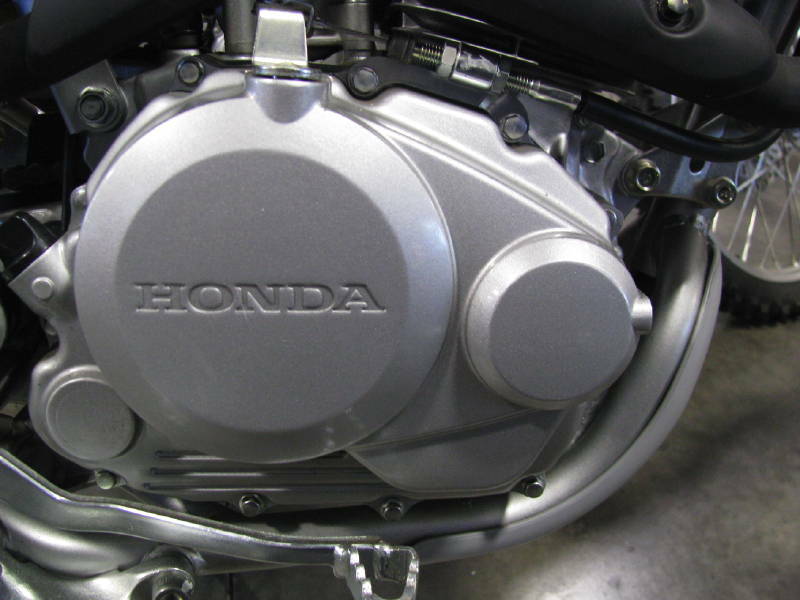 This manufacturer's label shows that the 230L is made in Japan. Well, at least THIS 230L in THIS Colorado dealership is. This label shows that the 230F is still made in Brazil (Brasil). Well, at least THIS 230F in THIS Colorado dealership is.